Sarah Churchill, Assistant to Ireland’s Great Hunger Institute examines a photo of a Grey Nuns. Images by Johnathon Henninger. 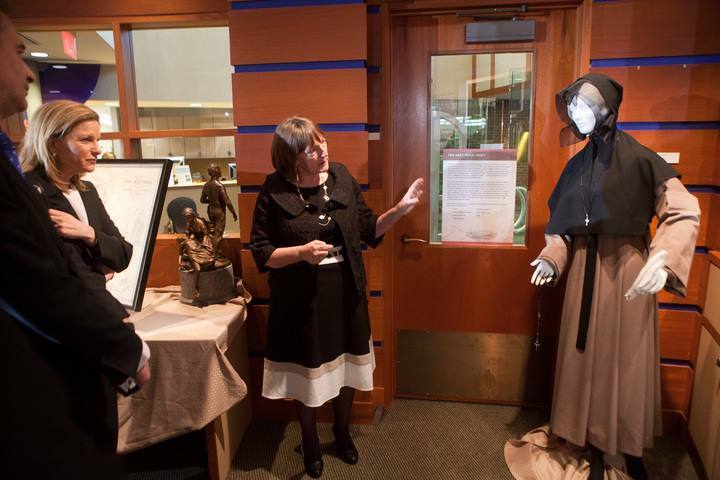 Anew exhibit on the Grey Nuns hosted by Ireland’s Great Hunger Institute at Quinnipiac University opened April 1. A private event launching the exhibit took place on March 31 with the Canadian Consul General, Quebec Delegate to New England, and the Irish Consul General of New York all in attendance. The long overdue exhibit shines a light on the untold number of English and French Canadians who provided charity and support for the thousands of immigrants who fled Ireland during the Famine. Foremost among them were the Sisters of Charity, who were more commonly referred to as the Grey Nuns. Theirs is a story of compassion and resolve during a time of great suffering and one which has been largely overlooked. The exhibition runs through March 18, 2016. From left: Christine Kinealy, founding director of Ireland’s Great Hunger Institute at Quinnipiac University, and Jimmy Deenihan, Ireland’s minister for diaspora affairs. 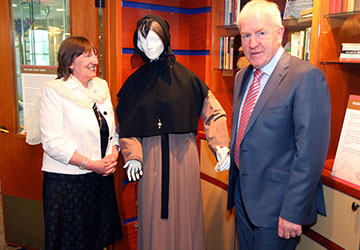 May 8, 2015 – Jimmy Deenihan, Ireland’s minister for diaspora affairs, visited Quinnipiac on May 7, to view the University’s vast collection of visual art, artifacts and printed materials relating to the Irish Famine. 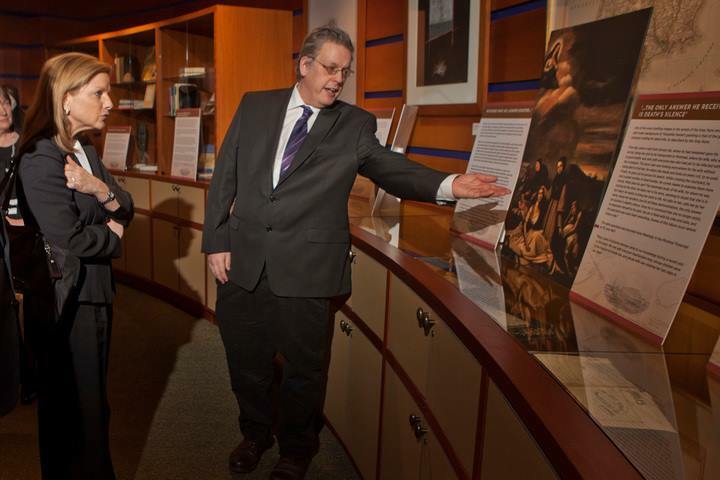 Deenihan viewed the exhibition, ‘Saving the Famine Irish: The Grey Nuns and the Great Hunger,’ in the Arnold Bernhard Library on the Mount Carmel Campus. He also toured Ireland’s Great Hunger Museum at Quinnipiac University. 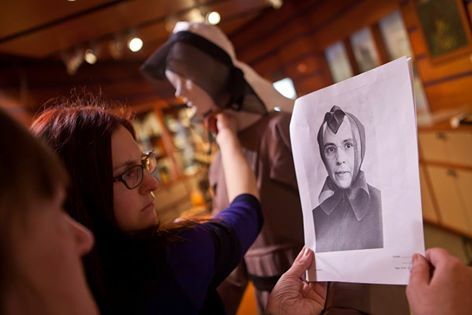 The exhibition, hosted by Ireland’s Great Hunger Institute, tells the story of the religious orders in Montreal whose members gave selflessly to Irish immigrants during the summer of 1847 – their time of greatest need. Deenihan was accompanied by Christine Reen, private secretary for the Department of the Taoiseach (prime minister) in Ireland, Emer Rocke, director of Irish Abroad and the Global Irish Network Unit for Ireland’s Department of Foreign Affairs, and Fiona McCabe, Ireland’s vice consul general in New York. “Saving the Famine Irish: The Grey Nuns and the Great Hunger” Exhibit launch at Quinnipiac University. The exhibit runs until March 18, 2016. Sarah Churchill sets up Grey Nuns Exhibit. 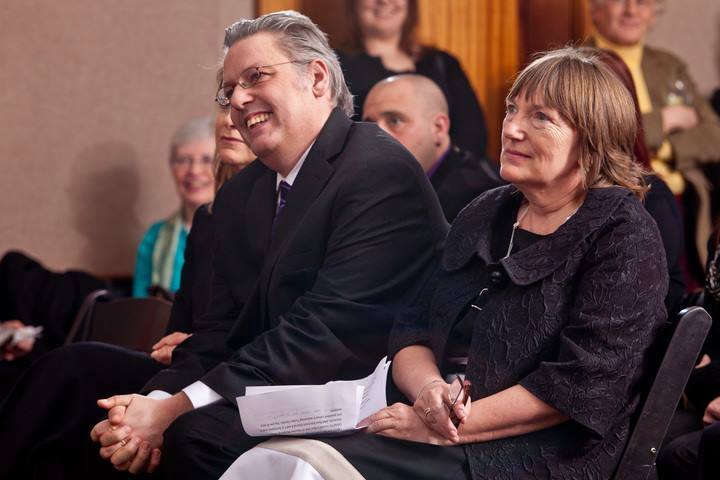 Co-curators, Professor Christine Kinealy of Quinnipiac University and Dr. Jason King of Galway University at the reception on March 31, 2015. 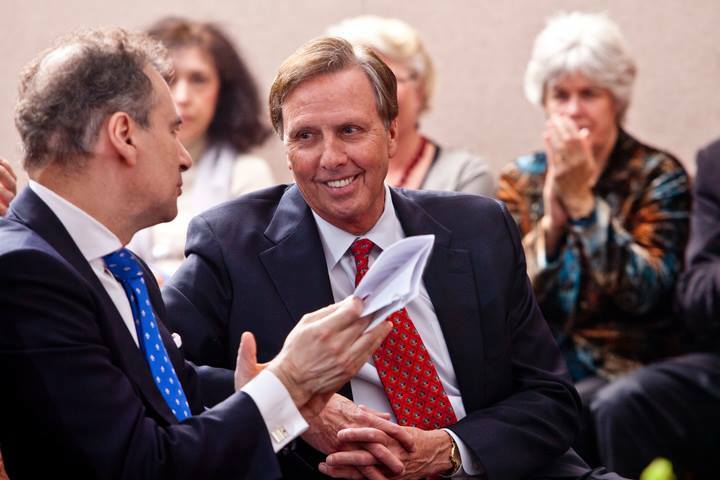 President John Lahey alongside Consul General from Canada, John F. Prato. 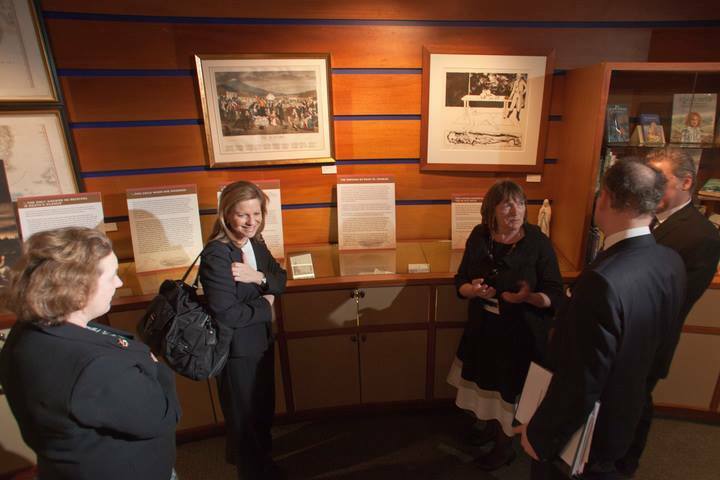 Dr. Jason King gives a guided tour of the exhibition to Marie-Claude Francoeur, Quebec Delegate to New England. 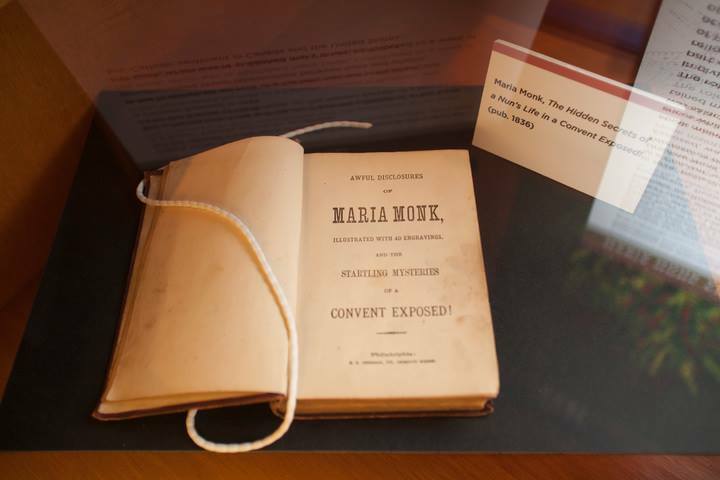 A copy of “The Awful Disclosures of Maria Monk”, a staple of anti-Catholic nativism published nearly a decade before the arrival of famine migrants in Canada, on view in the exhibition. 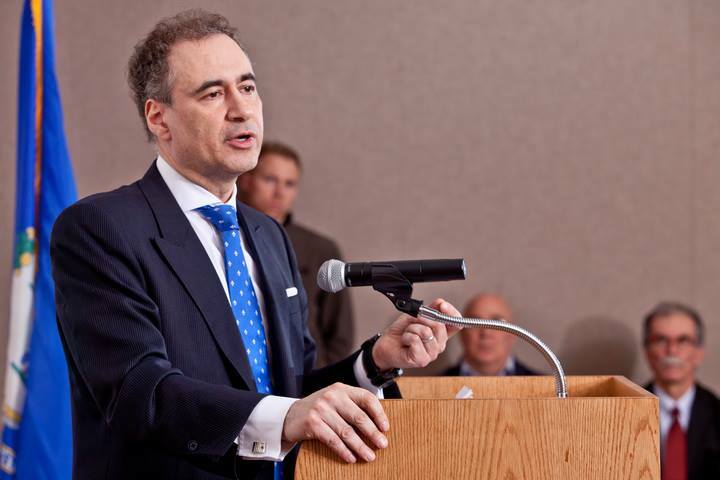 Consul General for Canada, John F. Prato, speaking at the reception. Professor Christine Kinealy speaks about the Grey Nun’s habit on view in the exhibition. From left to right, Barbara Jones, Consul General from Ireland, Marie-Claude Francoeur, Quebec Delegate to New England, Professor Christine Kinealy, John F. Prato, Consul General from Canada, and Dr. Jason King on a private tour of the exhibition in the Arnold Bernhard Library. 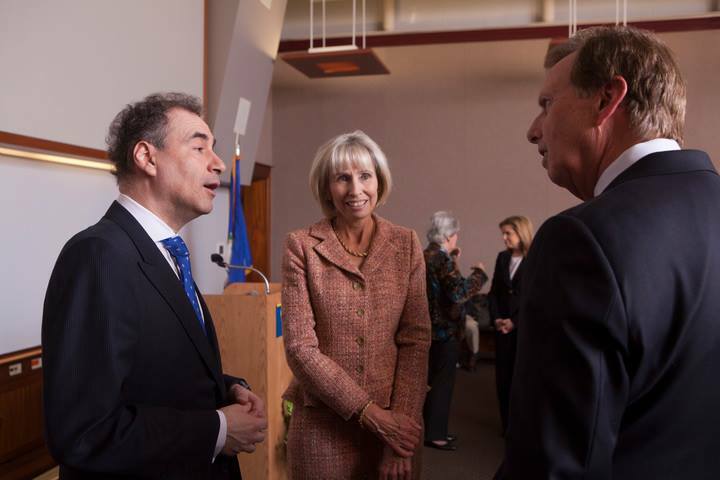 John F. Prato, Consul General from Canada, speaks with Dr. and Mrs. John Lahey. 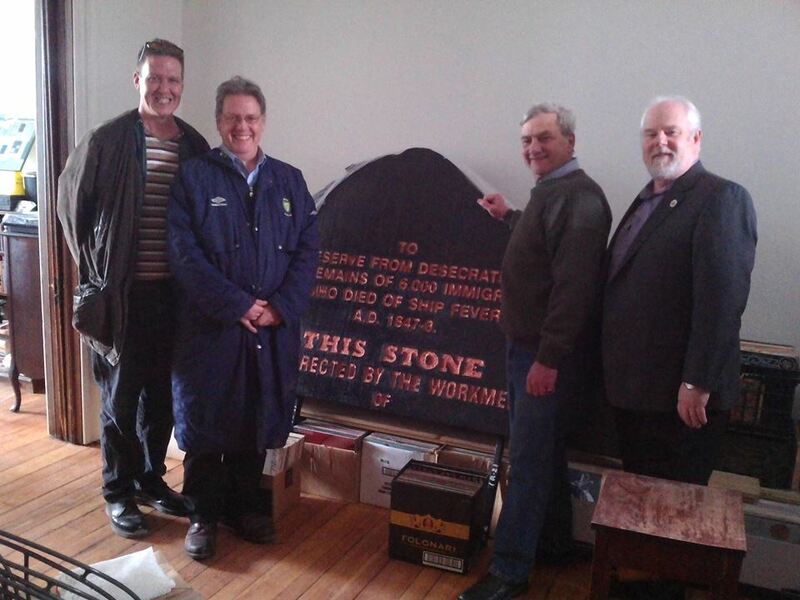 Co-curator Dr. Jason King meets with Directors of Montreal Irish Memorial Park Foundation Fergus Keyes, Victor Boyle, and Donovan King to discuss future plans.